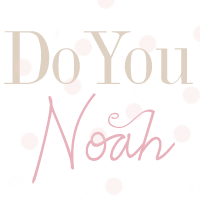 doyounoah: Christmas 2014 has arrived at Debenhams! Christmas 2014 has arrived at Debenhams! I love Christmas and am already started thinking about what gifts to buy my loved ones and dresses to wear to parties so I was delighted to be invited to Debenham's Christmas showcase to see what they have lined up for the festive season. Sequins and sparkles were the theme for the dresses with full length gowns and glamorous party frocks out on display. For more gift ideas and inspiration, visit Debenhams website.